I missed Buy Nothing Day. I went shopping instead. Of course the whole thing was under the guise of getting a few things for tonight’s Youth Group Sleepover Breakup (“Must supply the kiddies with enough sugar to keep them happy with PG movies”) and my drive-illiterate sister Emily’s pleading. It unfortunately turned out quite expensive. So, I got some more of my photo’s printed and duplicates for others, that was fine, that was intentional. At the ABC shop I found the David Copperfield DVD (Dickens) which is a family favourite and we only own a taped video. It was cheap… so I bought it. At JB a double CD Acoustic mix caught my eye and my head justified that I haven’t bought music in quite a while and I’m sick of scrounging around myspace having to hit play every 3 minutes. 40 new songs. 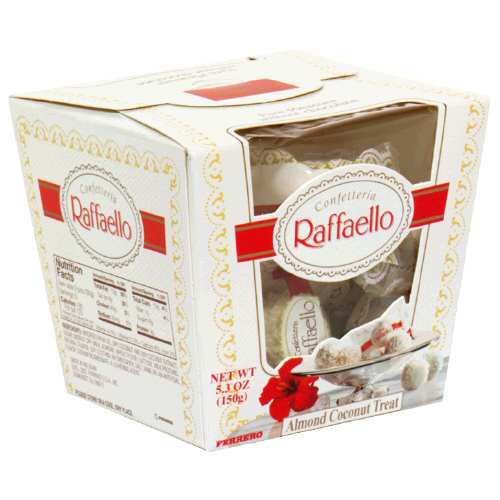 And… while getting the aforementioned youth leaders peace offering sugar I decided to treat myself to some Raffaello’s (pretty much some of my most favourite chocolate in the whole world) while getting some chocolate for someone else. Now at home I can’t find either them… except on the receipt. Not impressed. Sometimes you really look forward to little things like that. Alas to be shown up as consumeristic!